This "Countdown to Valentine's Day" project is kind of like a Valentine advent calendar but inside each slot is a little treat and a strip of paper that lets my husband know how much I love him. 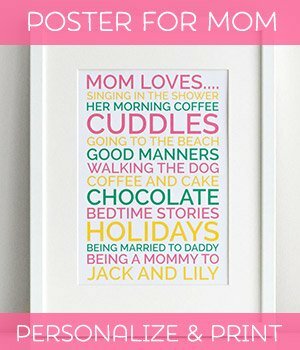 I'm going to surprise him with this project and I think it will be fun for him to open each day before he goes to work so he'll remember throughout the day all the reasons I'm crazy about him. 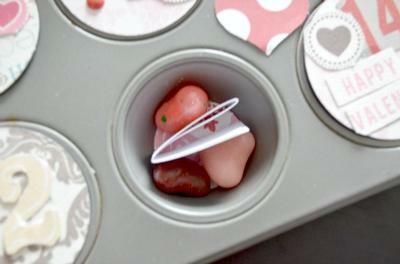 To make this homemade Valentines idea I used a mini muffin tin that had twelve slots so I made the calendar start on February 3rd and go until Valentine's Day. You could have the slot for Valentine's day be a big surprise like a note saying you have a special dinner planned or tickets to somewhere fun like a movie or concert. I bought a mini muffin tin from the thrift store for fifty cents. I then used up some old scrapbook paper and punched 12 2" holes and attached a small magnetic strip to the back of each circle of paper. 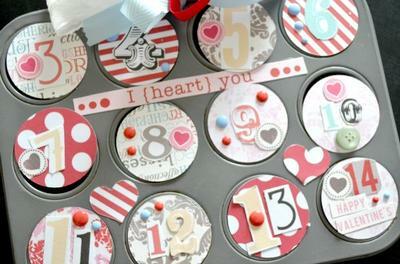 I then cut out numbers (3 through 14) from scrapbook paper and glued them on the front of the circles. 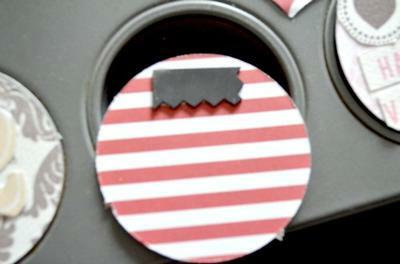 I tied pieces of ribbon to the top of the muffin tin. Next, I wrote down twelve things that I absolutely adore about my husband. I wrote sweet things like how he makes me laugh so much, fond memories I have of him and compliments on what a cutie he is! I put the strip of paper with the compliment I wrote and a little candy in each slot and then covered each slot with the circles. Anything else you'd like to share about your project? 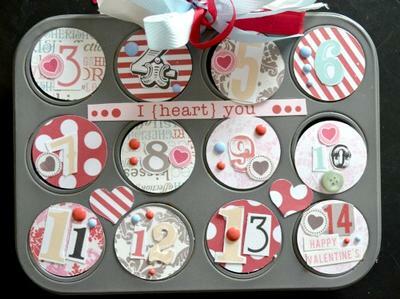 This homemade Valentines idea could also be a fun activity to do for children! Who wouldn't want a fun treat and sweet compliment every day?! Join in and write your own page! It's easy to do. How? 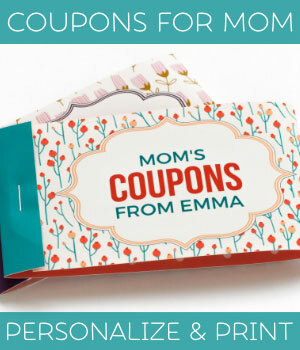 Simply click here to return to Homemade Valentine Gifts.